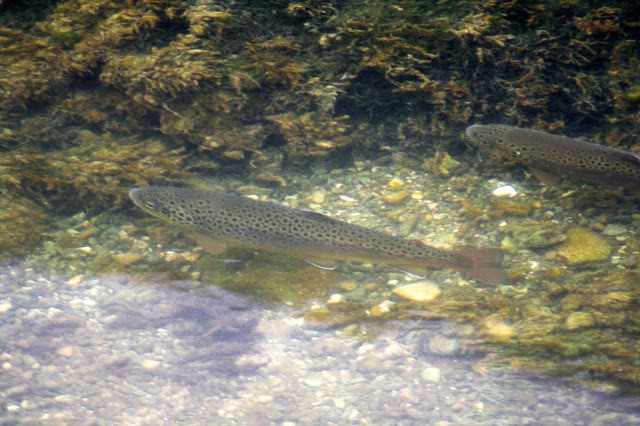 Trout Unlimited is seeking volunteers to conduct a trout spawning site survey on several streams in the Allegheny National Forest in Warren County on November 12 starting at 9:30 a.m. Working in teams of two or more, this effort will require hiking and/or wading a section of a small stream in the forest, identifying redds, taking GPS coordinates for their location and recording your data. Hiking/wading distance will range from one to three miles and may include some rugged sections. This data will serve as baseline information to document the success of culvert replacement projects in opening up new habitat for spawning. Volunteers will meet in Sheffield, PA to provide training on redd identification and to distribute supplies. Teams will then travel to their assigned stream sections to conduct their surveys. Teams will then return to Sheffield to drop off their data sheets and supplies. To register, please provide your name, email address, phone number and mailing address to Jake Lemon at jlemon@tu.org or 814-779-3965. Registration will remain open until November 6, or until all spots are filled. For more information on programs, initiatives and upcoming events, visit the PA Council of Trout Unlimited website.